iKON takes the win for 'Goodbye Road' on 'Show Champion'! 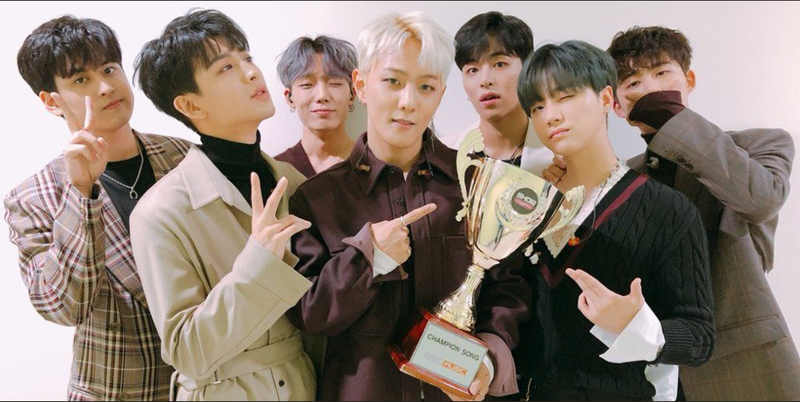 iKON won 'Champion Song' of the week on MBC Ever1's 'Show Champion'! On the October 10th episode, iKON, GOT7, Oh My Girl, Cosmic Girls, and Lim Chang Jung are nominated for the 1st place. The YG Entertainment boy group with their new title track "Goodbye Road" is ultimately announced the winner. The boys couldn't accept the trophy on stage due to their schedule but they still delivered a message of appreciation with a video. iKON stated, "We are back with 'Goodbye Road' and we've won 1st place on 'Show Champion'. We are grateful for the big award. We want to thank our fans," and added, "We will become more modest and hardworking singers."